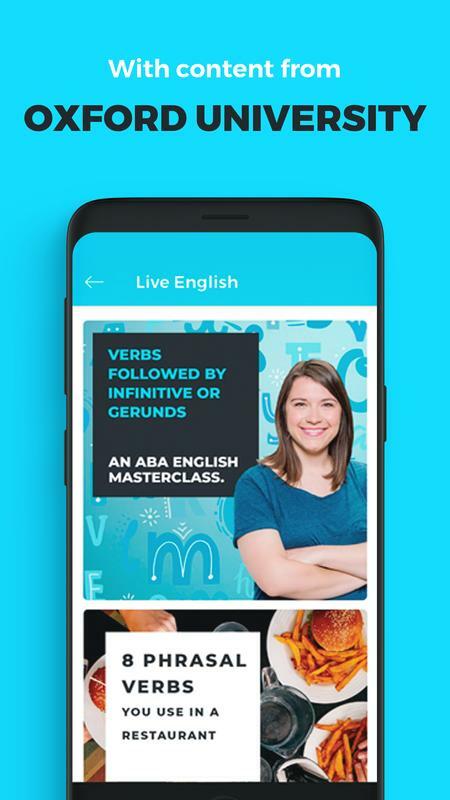 Download the app and learn English with the most complete English course available: private online tutor, 6 learning levels and 144 units that cover everything you need in order to learn the language: speaking/conversation, writing, studying, vocabulary, reading, grammar and much more to enable you to master the language. 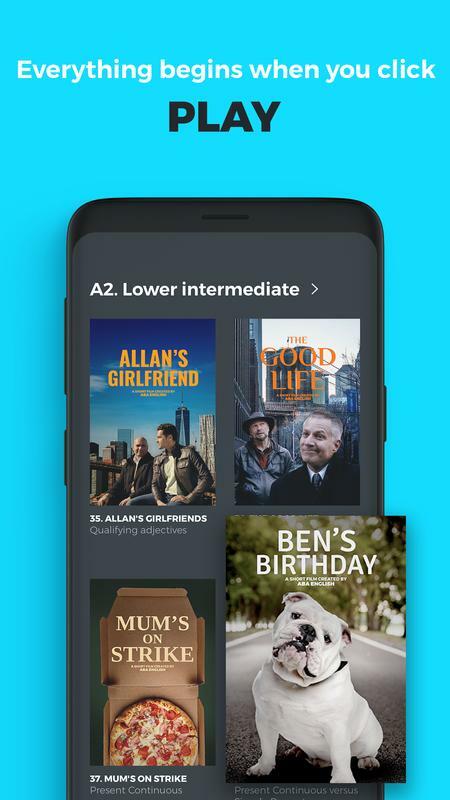 Learn expressions, vocabulary and grammar in English by watching our exclusive short and feature-length films. 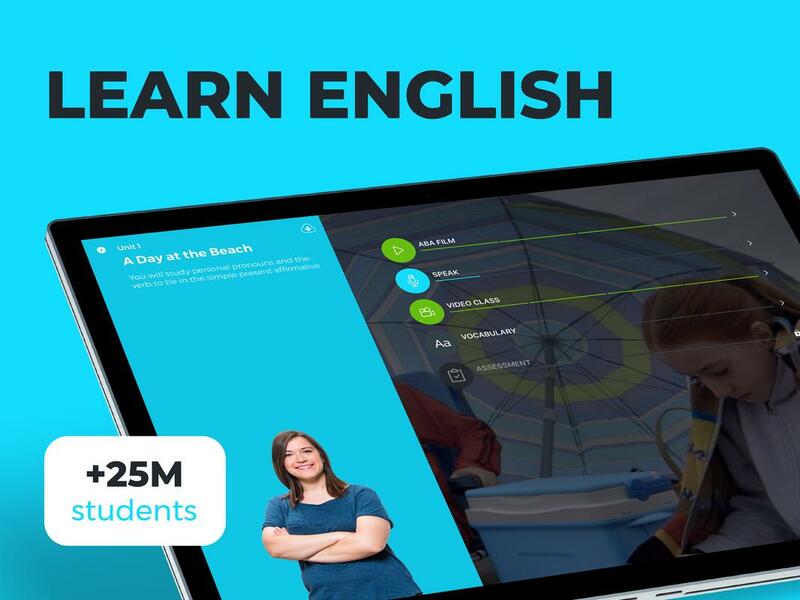 An English course with different levels of learning: Beginner's, First, Advanced, TOEFL, Business, etc. 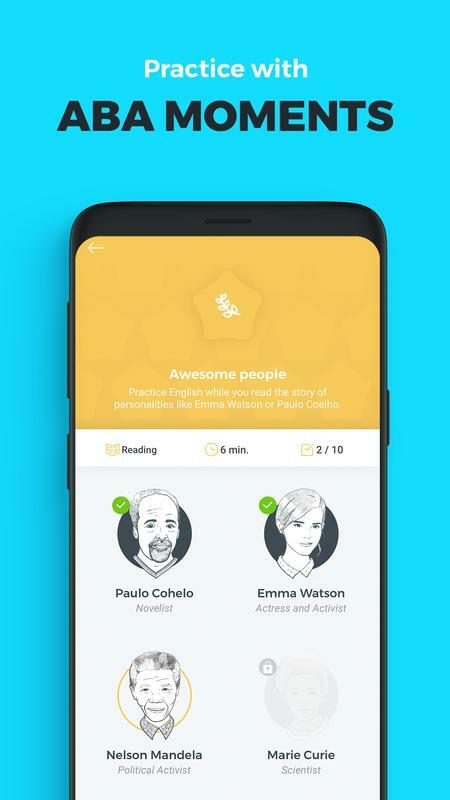 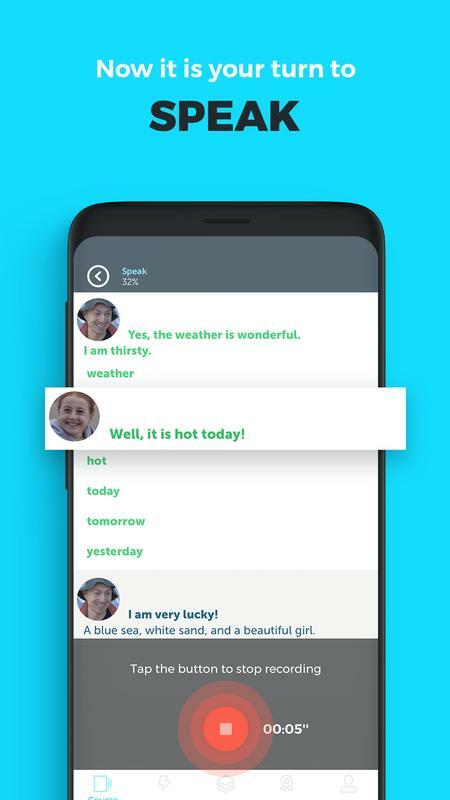 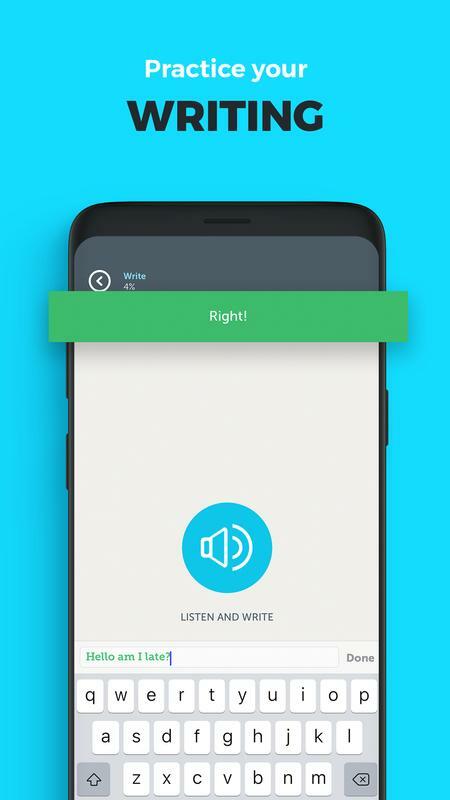 With the same user account, you will be able to read, write, study, speak, take part in conversations… Learn English using any of your mobile devices! 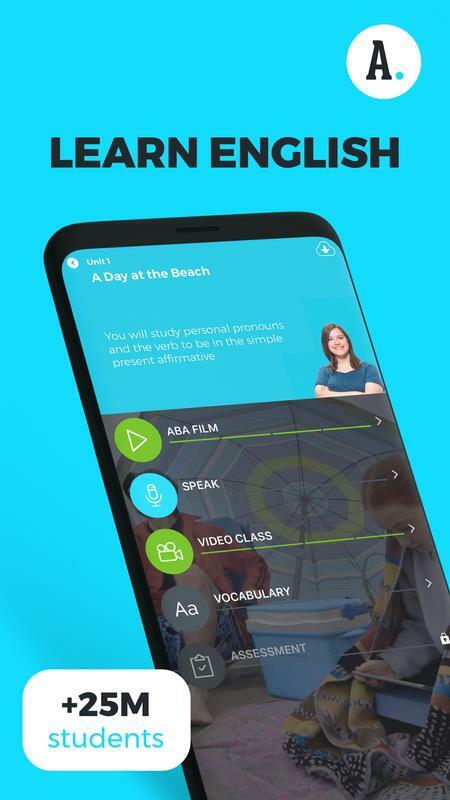 Based on the principles of the natural method, which involves learning via complete immersion in the language, we have created a system for learning English that simulates the same learning process that you experience when traveling abroad to study and learn English: listen > understand > speak > write. 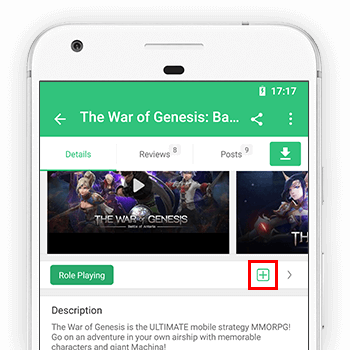 First, you watch the ABA Films, then you study the dialogues, you learn to write them and you interpret the role of the characters from the films: The grammar needed to consolidate your knowledge is addressed at the end of the unit, along with practical exercises. 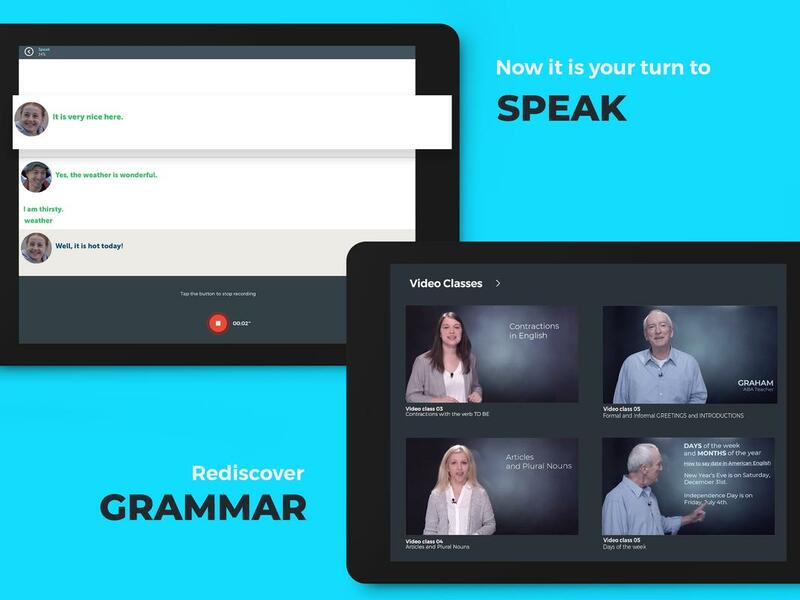 With the free option (ABA Free), 144 video classes provide you with all the necessary English grammar, explained by the Academy’s teachers. 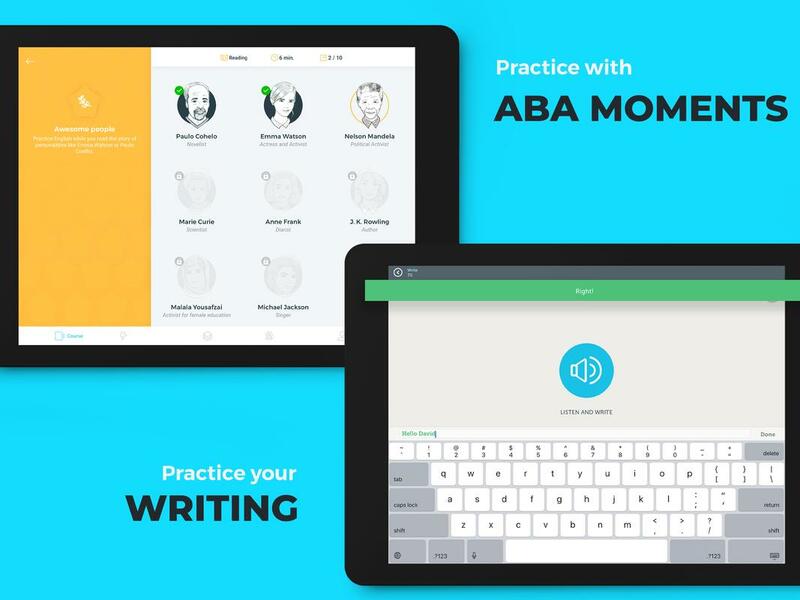 You also have the first complete unit of each level free, so you can try out the ABA English learning methodology. 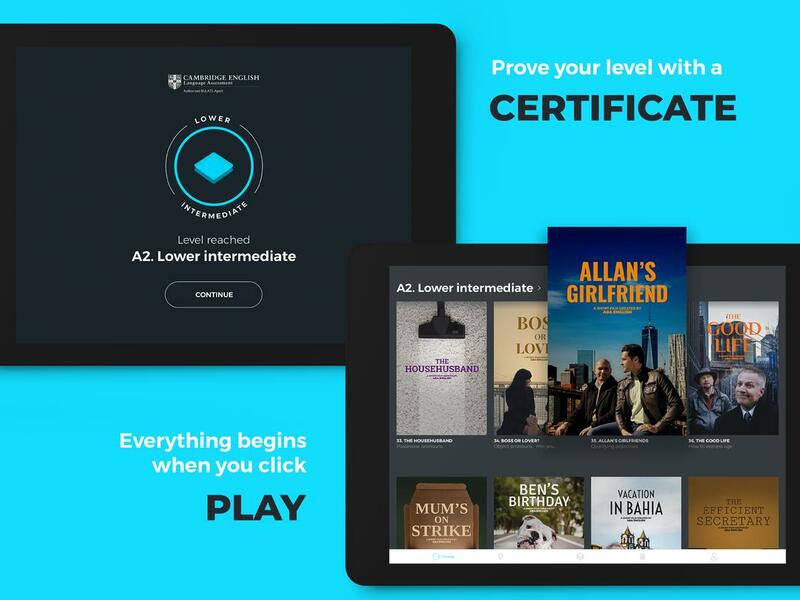 With the paid option (ABA Premium), you can access all the contents of the complete course, get certificates for each level and receive support from an English teacher who you can contact through the ABA English Campus with any queries that you might have. 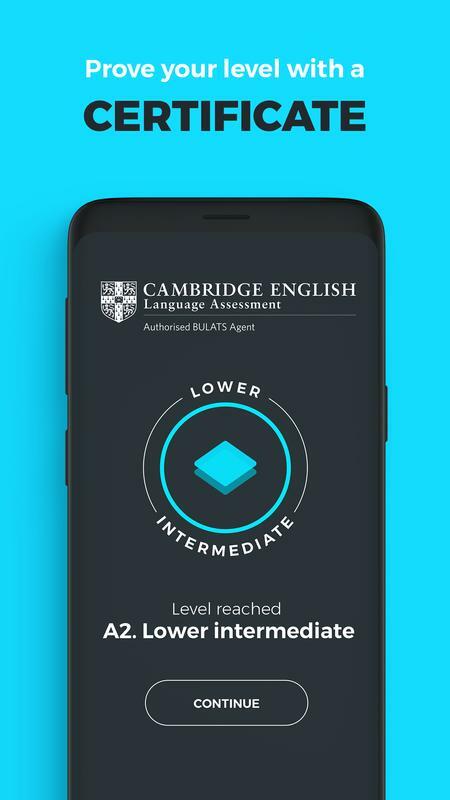 You still haven’t downloaded our app for learning English? 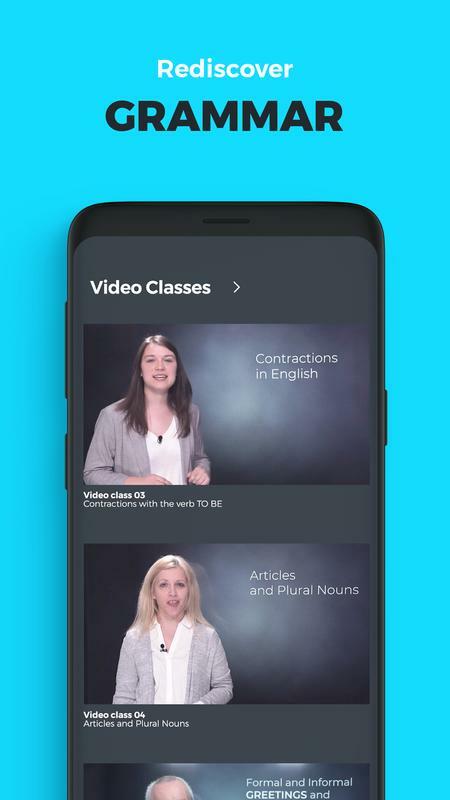 Download the app and learn through our courses!